When Emily Oliphant married John Stratten, she thought it was the beginning of an exciting new adventure, imagining herself standing shoulder-to-shoulder with the most eligible farmer in the district, mucking in to build a thriving agricultural business. Three years later, however, Emily sees her marriage for what it is — a loveless tie to a callous man, her advice heeded only when it pertains to her husband’s dinner. The last straw comes when John threatens to harm her new puppy, and Emily is forced to brave her husband’s wrath, and her mother’s glaring disapproval, and move out. With the encouragement of her new friend Barbara, Emily moves into an abandoned property, taking on the mammoth task of making the unloved house into a home. As she begins to work on the property, she discovers a new side of her father, meets some new friends and finds an inner strength she never knew she had. Emily’s fragile confidence is soon tested, though, when the owners of the property make her a tempting offer. 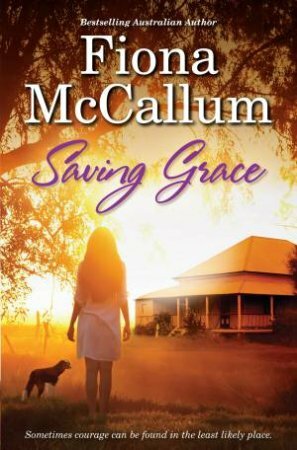 Will she risk everything and invest in the ramshackle house that has finally given her a sense of purpose? Or will Emily listen to the views of the community, and the voice of her mother, and go back to her sensible, but meaningless, life with John?